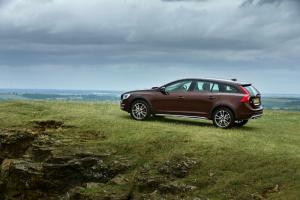 Ah, the go-anywhere, super-practical, all-weather estate car. Volvo practically invented the concept when they all-wheel-driverised the V70 back in 1997 and slapped a Cross Country moniker on the tailgate, prompting the German competition to launch Allroad, Alltrack, and a slew of other ‘All’ models. 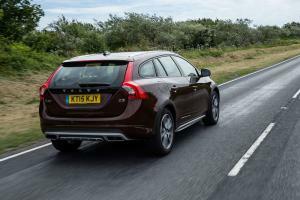 Two things a visit to a Scandinavian country will offer in abundance are Volvos and snow-covered roads, so this is a niche market the company knows more about than almost anyone else. So, with the V60 consistently appearing in Volvo’s top three best-sellers, it makes sense to bestow it with the full-on all-weather treatment. 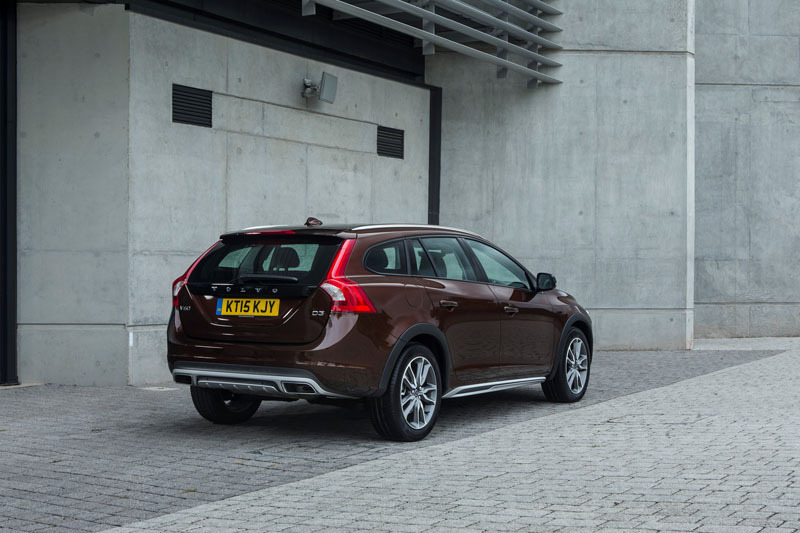 The Cross Country package jacks up the V60 by 65mm, giving it a creditable 201mm of ground clearance, as well as high-profile tyres and the requisite rufty-tufty details such as scratch-resistant wheel-arch extensions, scuff plates on the sills, and fake skid-plates in the front and rear bumpers, where you’ll also find a rather neat pair of integrated tail-pipes. The interior is V60 business as usual, which suits us just fine, as Volvo long ago cracked the formula of a driver-focused dashboard, chunky controls that can be used while wearing gloves, super-clear digital instruments, and such a colossal range of adjustment for both seats and steering wheel that drivers of even the most unusual proportions will find it easy to get comfortable. 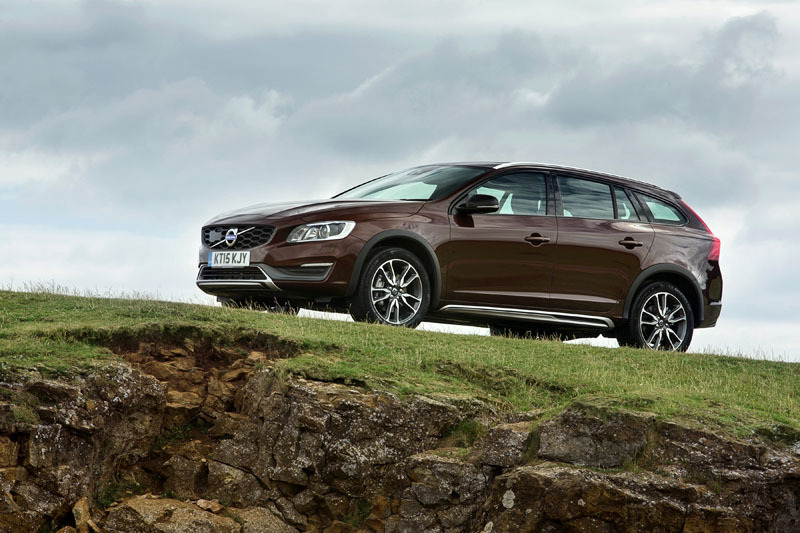 Nav models come as standard with Volvo’s excellent Sensus Connect system, which offers a decent navigation function, the ability to play music from a range of sources including DAB digital radio and a built-in hard drive, a vast array of vehicle settings, and some interesting connected options such as the ability to book a service from the car itself. 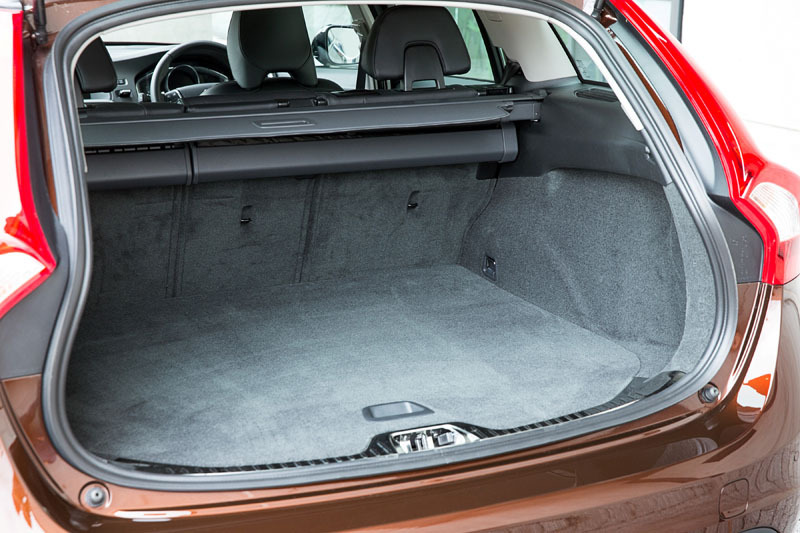 Rear seat passengers sit slightly higher than those in the front, the idea being it gives them a slightly better view, although combined with the sloping roof-line, it does lead to a loss of head-room for taller occupants. 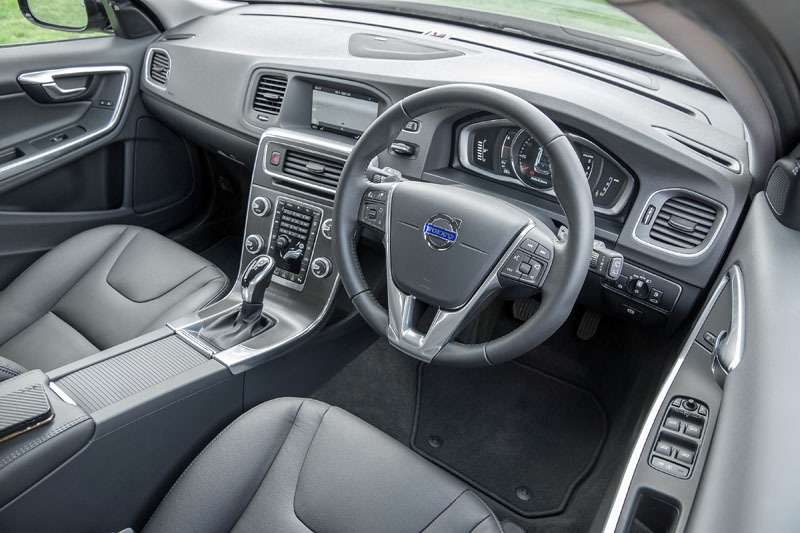 Despite that, it’s a comfortable place to spend time, and there are plenty of neat touches such as the charging ports, air vents in the door pillars, and pop-out booster seats for children. 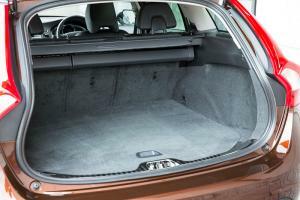 Cargo space is a useful 557 litres, increasing to 1,241 litres with the seats folded, which they do in a convenient 40:20:40 arrangement that makes it easy to carry long loads like skis. 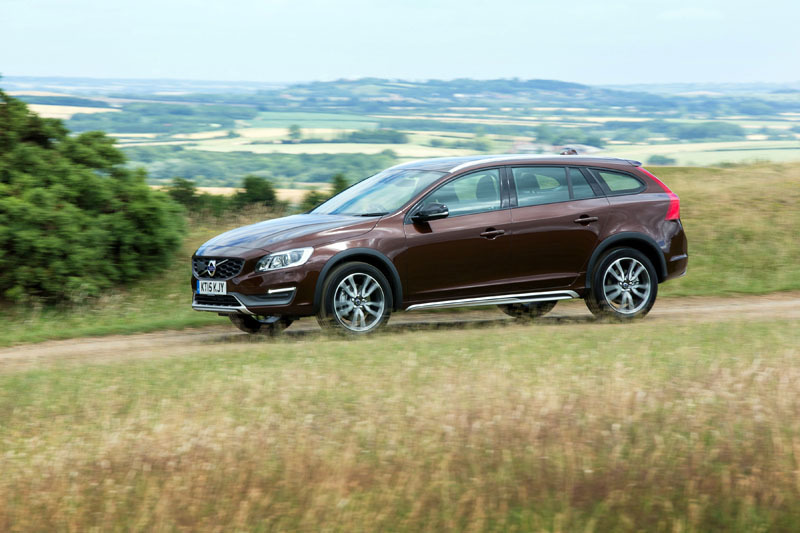 Engine choices for the Cross Country are limited to a trio of diesels, starting with a pair of 2.0-litre four-cylinder units fresh out of Volvo’s Drive-E programme. 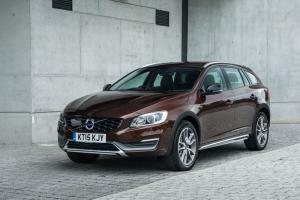 The D3 kicks off with 150hp, while the D4 offers a more interesting 190hp. Both are offered with a choice of six-speed manual or eight-speed automatic transmissions, but in either guise, economy and emissions figures are identical – manuals return up to 67.3 mpg and 111 g/km, while the autos record up to 61.4 mpg and 120 g/km. Perversely, given the Cross Country name, both engines are two-wheel-drive only. If you want all-wheel-drive, you’ll need to specify the 2.4-litre five-cylinder unit, which although it comes from the previous generation, is still a fabulous engine. 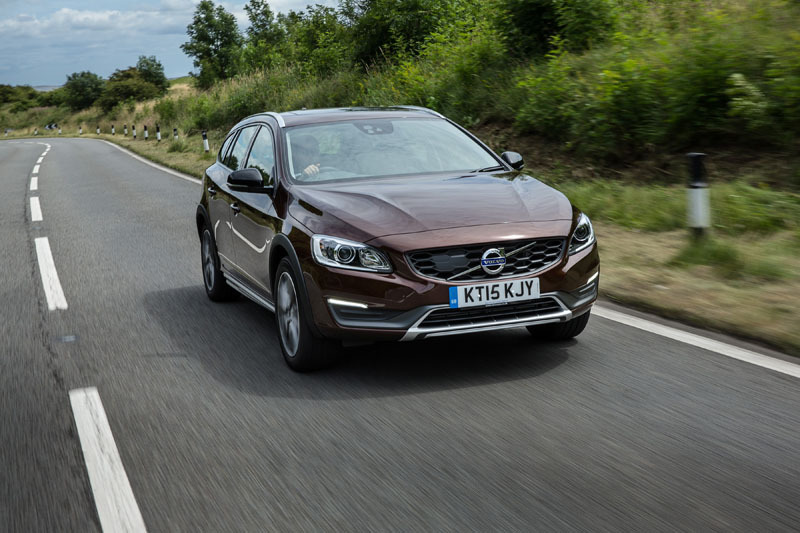 It’s only available with a six-speed auto and is less efficient, achieving up to 49.6 mpg and 149 g/km. It does sound good, though. The new D4 is undoubtedly the pick of the bunch – there’s an entire Scandinavian fjord full of torque and very little in the way of lag, although we will say we wouldn’t object to a touch more sound-proofing. 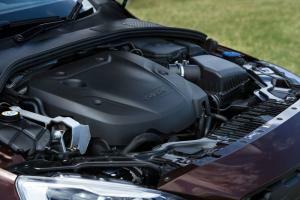 The six-speed manual gearbox is pleasant enough to use, although it can feel a little rubbery at times, and the change from 1st to 2nd on our car wasn’t always smooth, although other gears were fine. The new eight-speed automatic, however, is a peach. It has little impact on economy, and no impact on performance, either – mash the pedal into the carpet, and 7.8 seconds later you’ll be doing 62 mph. 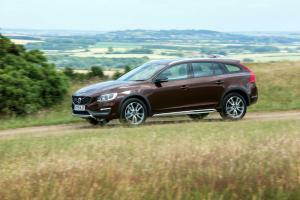 To be clear, though, the Cross Country is no sports car. There’s little feedback through the steering wheel, body roll is apparent, and there’s plenty of understeer if you try steam-rollering your way into corners. But that’s not what this car is about. If you regularly take a bunch of mates and a stack of mountain bikes hundreds of miles across Europe, there are probably few more capable cars than this for doing all of that in comfort. Sensus Connect works well despite age – hard drive for music, built-in handbook, in-car service booking, etc.